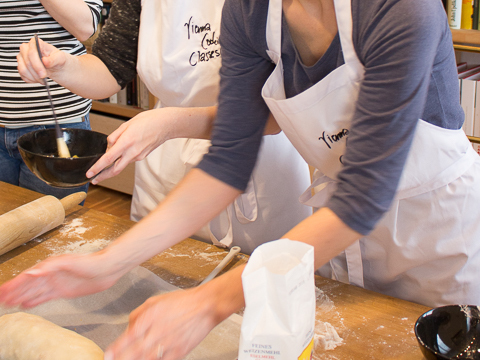 Do you already know the Vienna Cooking Classes? No, then read on. Because this article will tell you more about where and when you can learn to cook genuine Viennese and Austrian delicacies in Vienna. Directly from true Viennese in a cozy atmosphere and with a lot of fun. 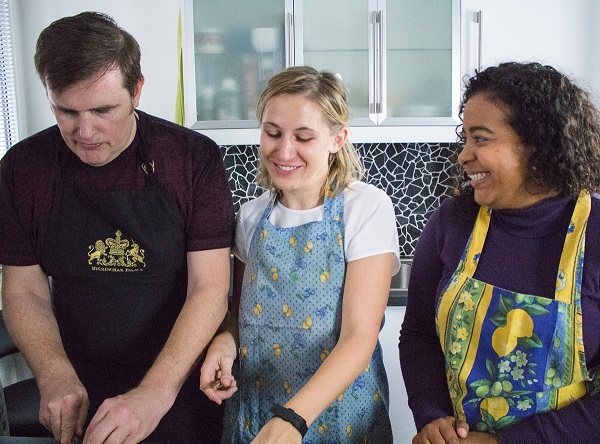 With the project "Vienna Cooking Classes", Viennese hobby chefs invite you to their homes to cook together. The cooking classes are aimed at hobby chefs from all over the world and are held in English and German. 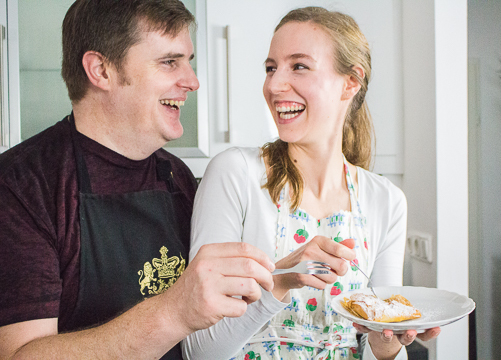 Curious tourists, as well as residents of Vienna will be able to make Apple Strudel, Tafelspitz, Schnitzel and other dishes, in various private kitchens under personal instruction in the Vienna Cooking Classes. Viennese charm included, of course. The concept is opposed to professional culinary classes in studios, as it aims to unite hobby chefs all over the world in an uncomplicated way. The participants should not only learn the recipes and cooking techniques but also get to know the world of the host. The goal is to bring people to a common table and to create the possibility of a cultural exchange in a relaxed atmosphere. How do Viennese people live, cook and eat? How does Viennese everyday life look like? 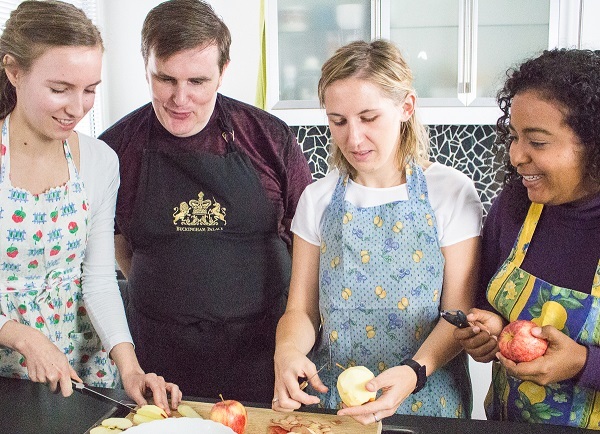 Vienna Cooking Class hosts have different business backgrounds - from political expert to events manager, from travel agent to professional chef - all of them are looking forward to an exchange with international hobby chefs! The initiative offers a variety of classes. Most poular are baking classes for making Apple Strudel from scratch, as well as the classic Schnitzel cooking class. Usually, participants create a whole menu with soup (for example semolina dumpling soup), main dish like Schnitzel, beef roast or Tafelspitz with side dishes and dishes like Kaiserschmarrn, sweet dumplings or Strudel for dessert. Popular among Austrian guests are also the dumpling classes, where participants create a whole menu with different dumpling dishes. During christmas time there are cookie baking classes offered, which are especially popular among families with kids. Many chefs also offer optional market tours prior to the class, for example to the famous Naschmarkt.